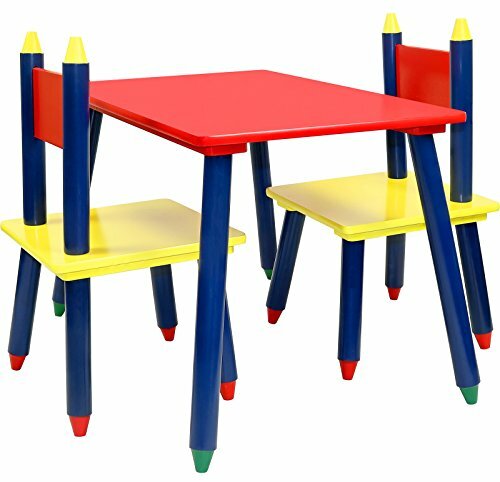 The perfect children's table and chair set that will give them a true child friendly atmosphere. Ideal for your kids playroom or bedroom. Easy to assemble with simple instructions included. No tools required!. Table approximate measurements in inches; 23.6" L x 15.2" W x 16.14" H. Chairs approximate measurements in inches; 11" x 11" x 20.5". Easy to assemble with simple instructions included. No tools required!